San Diego, California is a young, fun city full of fascinating cultural mixes, stunning beaches and delicious food. No wonder we like it so much. 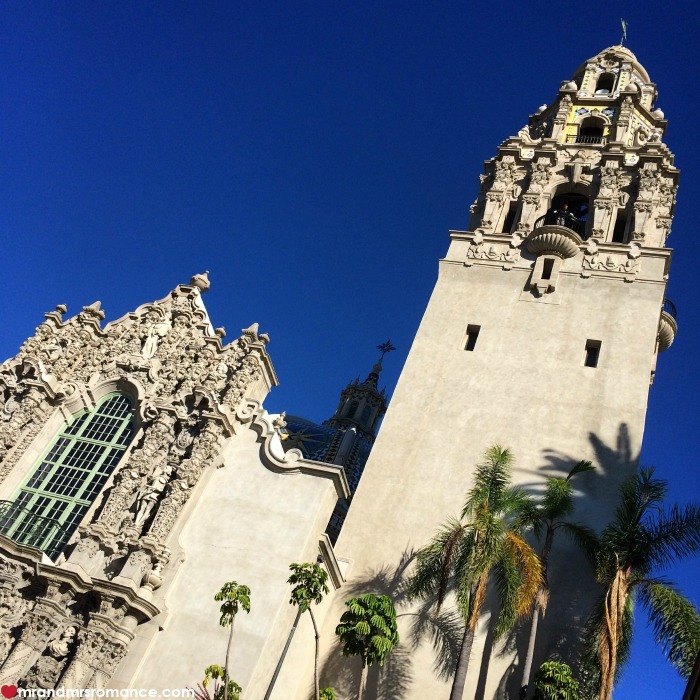 Here are our top 9 things to do in San Diego, California and why we love this town so much. Mrs Romance and I get on very well with San Diego. 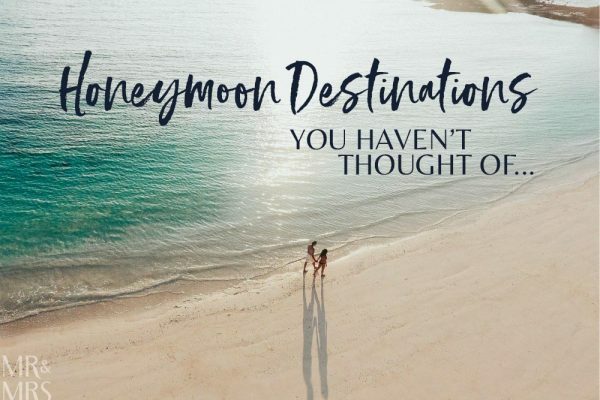 Perhaps it’s because we share some key values – beaches, great food, a relaxed lifestyle… but then who wouldn’t want that, right? Of all the cities in the USA, we’ve spent most time in San Diego, so we feel like we get this city more than we do other places we’ve visited. Having said that, I also feel a deep connection with Chicago and the love Mrs Romance has for NYC almost verges on bigamy. But San Diego really does have something special. 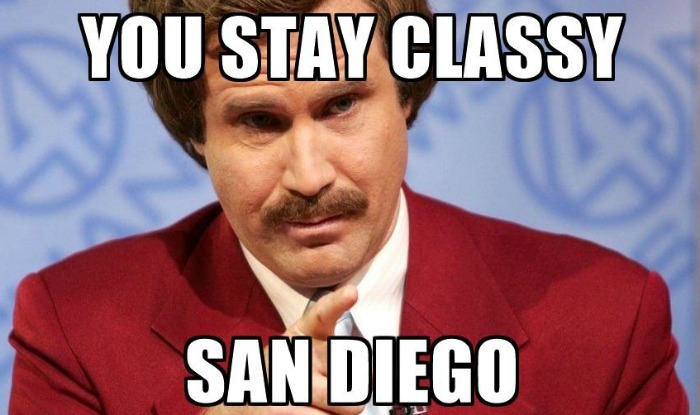 There’s a reason it’s known as America’s Finest City. We thought we’d share some of our favourite things to do in San Diego and the reason why we love this city. 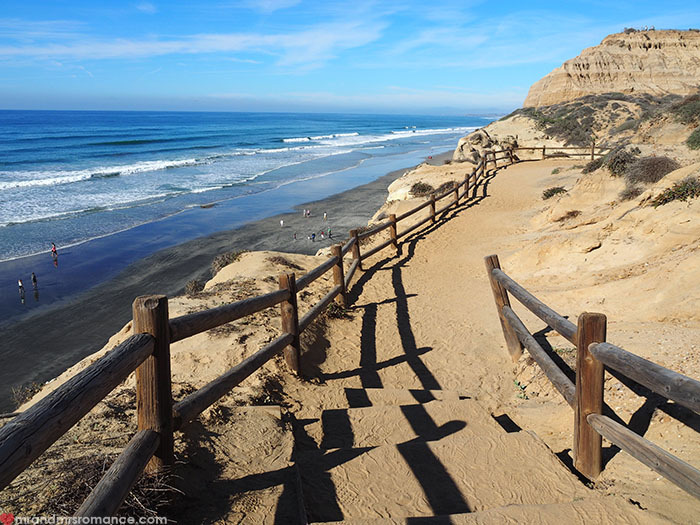 San Diego has a huge amount of coastline looking out over the Pacific Ocean – about 115km of it in fact. 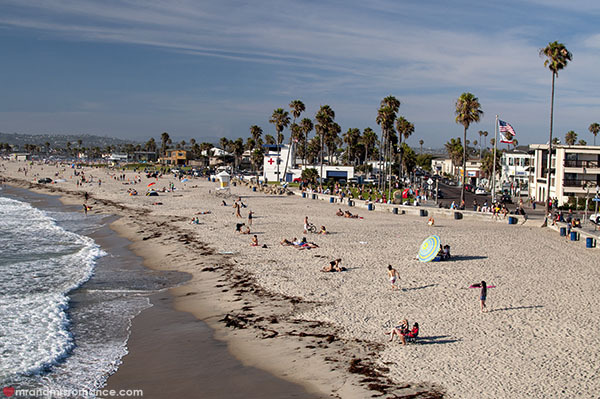 The likes of Pacific Beach, Ocean Beach and Mission Beach put the ‘sandy’ in San Diego. Sorry, that was lame. These beaches are all on the city’s doorstep. They’re wide, sandy and have some great eating and drinking spots right on them. 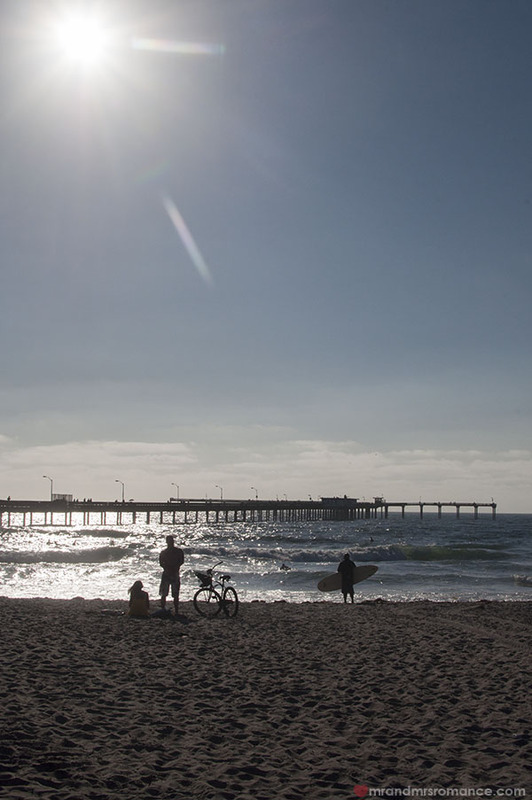 There’s also Coronado, a peninsular that’s more like an island off the city’s coast. On its ocean side is Coronado Beach, which is absolutely stunning. 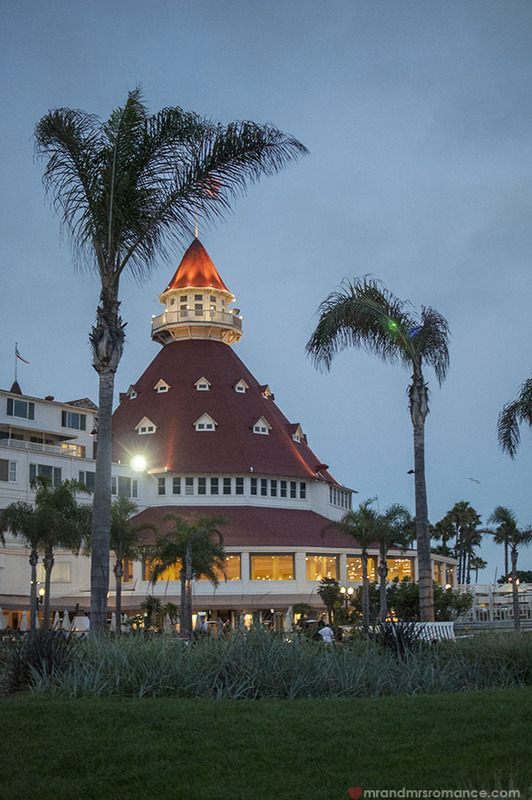 We’d love to stay at the iconic Hotel del Coronado, which overlooks the beach and is just stunning. 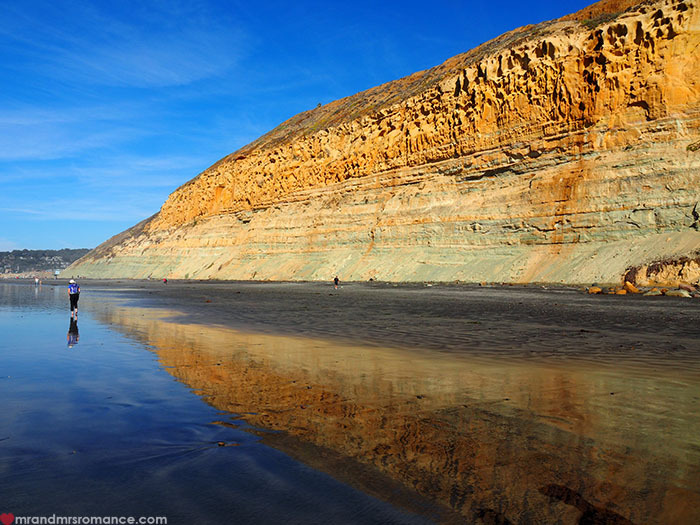 Further north of the city is the Torrey Pines National Park. Not only is this bit of coast an amazing hiking spot with some easy-going trails through the brush and along the cliffs, the beach below is vast and magnificent. Here’s more on Torrey Pines. 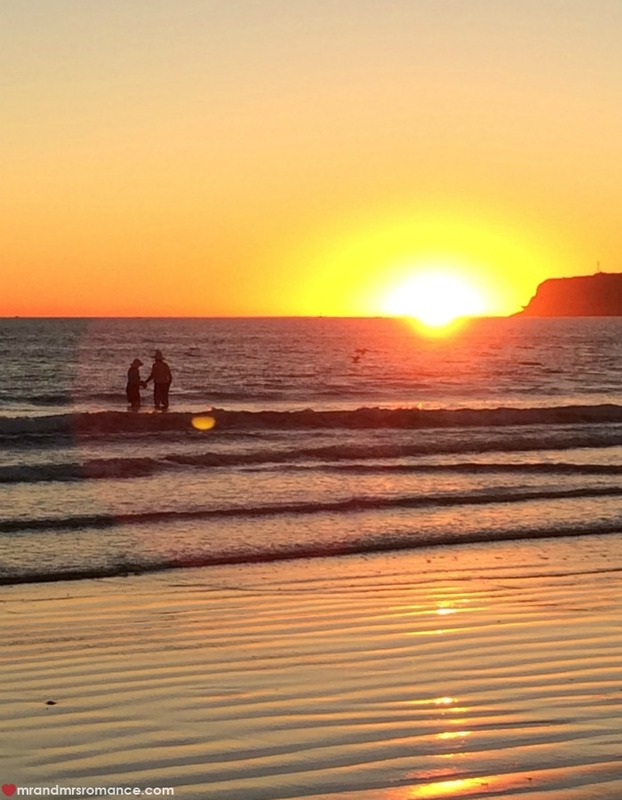 With the sun setting over the water each night, San Diego’s beaches are pretty much all an Instagram dream. San Diego is right on the Mexican border – and was in fact part of Mexico for a very long time. Obviously this has influenced the food options here and Mrs Romance almost refuses to eat anything else when we’re in town. The Mexican food here is amazing – one of our all-time favourite places to eat is a little tacoria and bar called El Camino in Little Italy – but there are so many other options here. Little Italy, a funky little suburb right near the airport, it isn’t a good place to be if you’re hungry: there are so many places to choose from. 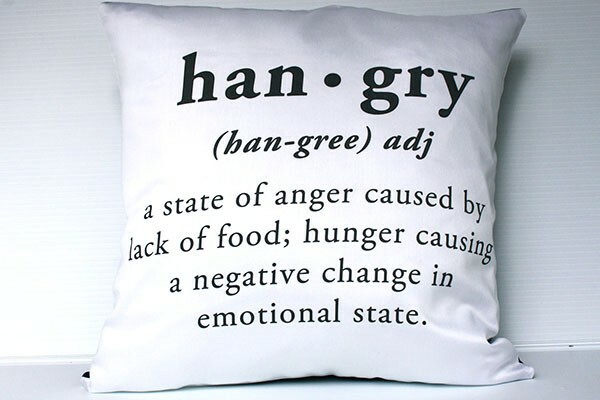 You’ll be broke and fat by the end of the afternoon! Everything from Ballast Point Brewery’s taprooms to Ironside seafood restaurant and oyster bar resides here and it’s all fantastic. 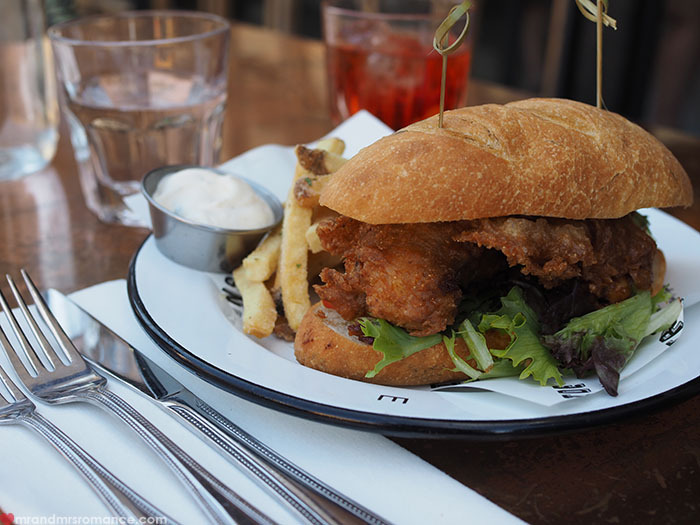 In the city itself, there are hosts of places to eat. 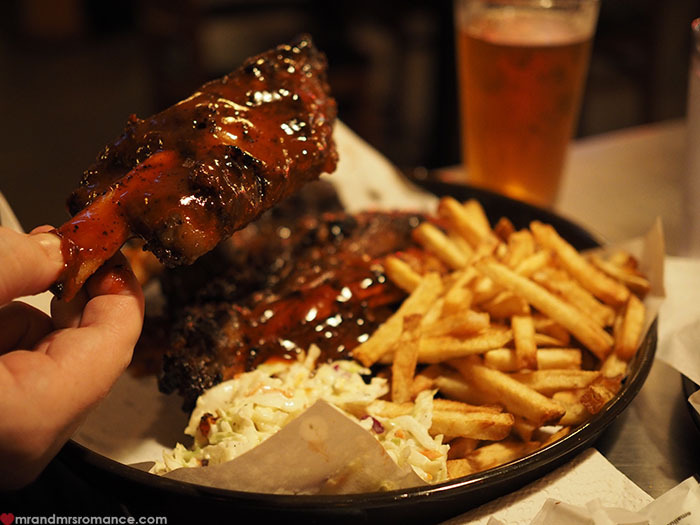 From Phil’s Barbecue (a true meat extravaganza) to fine dining at Cucina Urbana in Bankers Hill you’re really spoilt for choice. And if you want Mexican food in real Cali-Mex style, the only place to go is Old Town. 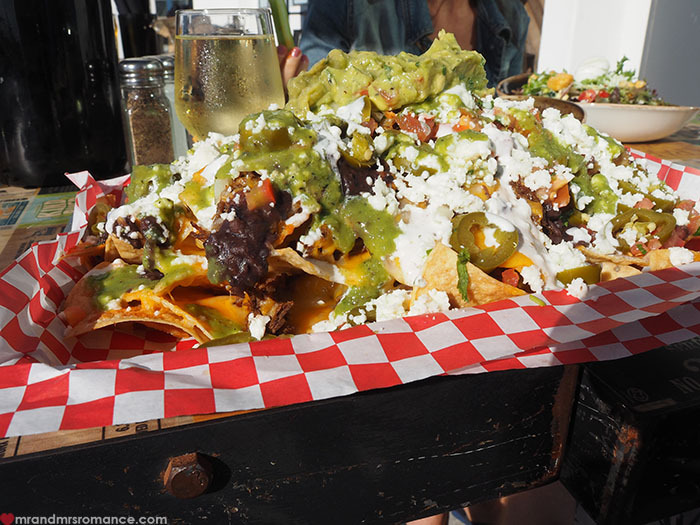 Check out our more detailed run-down of where to eat in San Diego here. San Diego city itself has a great feel to it. 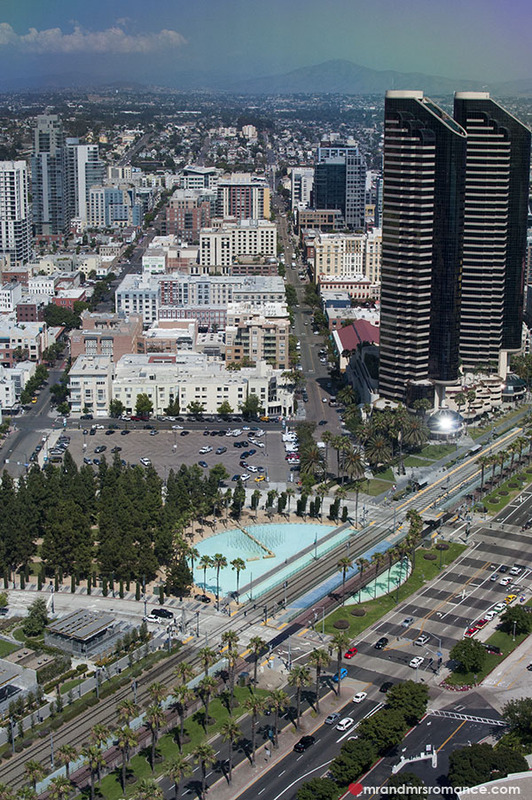 San Diego is one of America’s bigger cities, but even Downtown feels chilled out and easy-going. 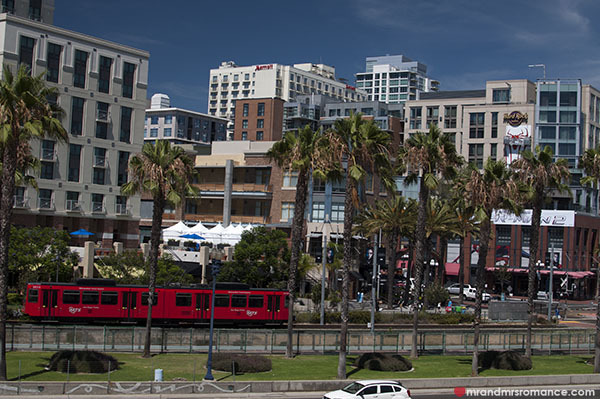 From the fun touristy spots like the Gaslamp Quarter and the Marina to the nightlife of Hillcrest – the heart of SD’s gay scene, there’s a lively and very friendly feeling on the streets here. It’s also amazingly easy to navigate this city. Just like a lot of well-planned cities, SD is in a grid pattern. North to south are numbered streets and most of the east to west are either tree names (1st letters running alphabetically) or simply lettered A, B, C, D after that. 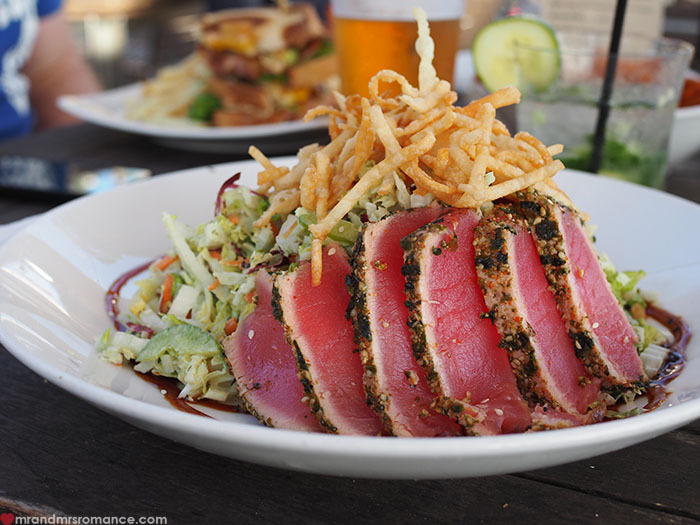 Coronado, off the city’s coast, is home to the massive air force base made famous in films like Top Gun, but there are some great restaurants facing the city and – on the ocean side – the iconic Coronado Beach and Resort. The locals (San Diegans?) are a friendly, interesting mix. Laid back, polite and helpful, it’s also a pretty young crowd here – mostly owing to the large number of universities and colleges in San Diego. They also really get into stuff. 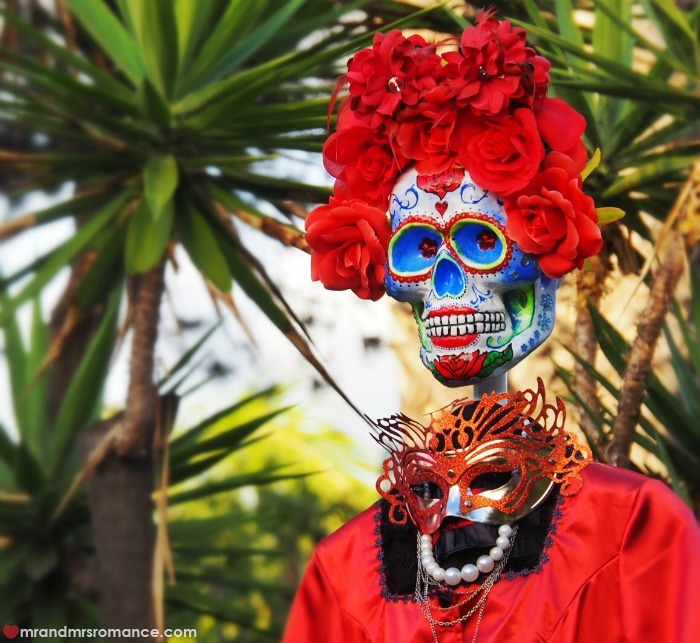 Dia de los Muertos – the Mexican Day of the Dead, Halloween, even ComiCon are all heavily subscribed by San D’s denizens. We’ve been lucky enough to be here for all three of these and it’s awesome. 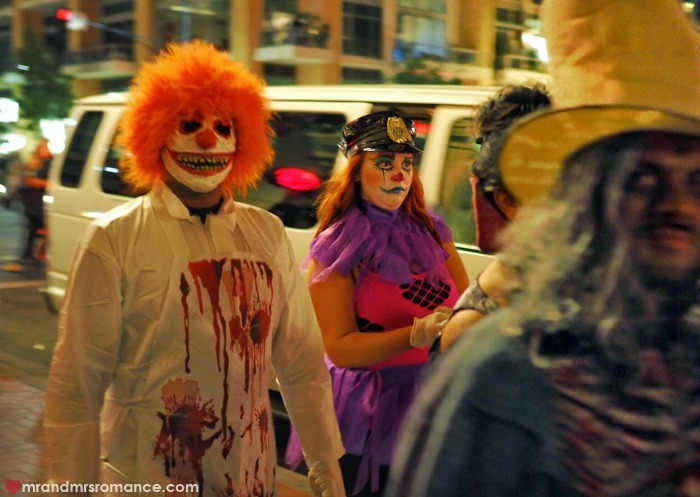 These guys take every opportunity to go out, dress up and have fun. San Diego is only 25km north of Tijuana, so Mexico is a huge influence on this US city. 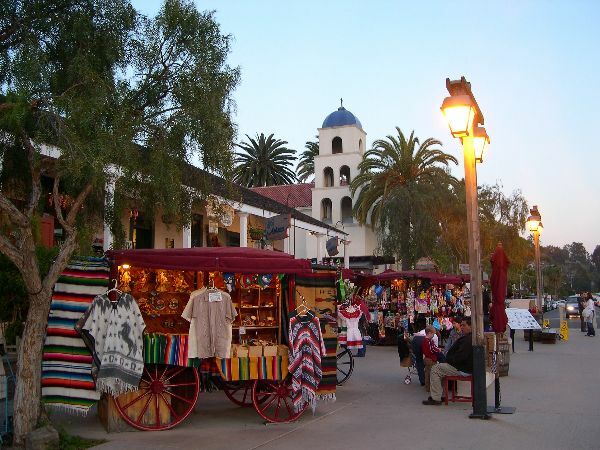 Going across the border into Mexico is easy enough, but even closer is San Diego Old Town. Old Town has an old cemetery with the graves of some of the original founders of San Diego. 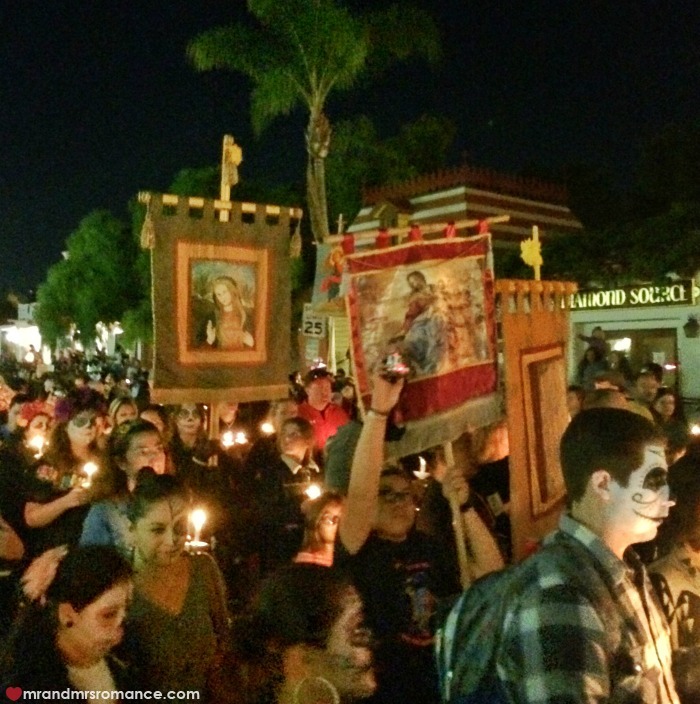 The cemetery is a focal point for the Dia de los Muertos parade. 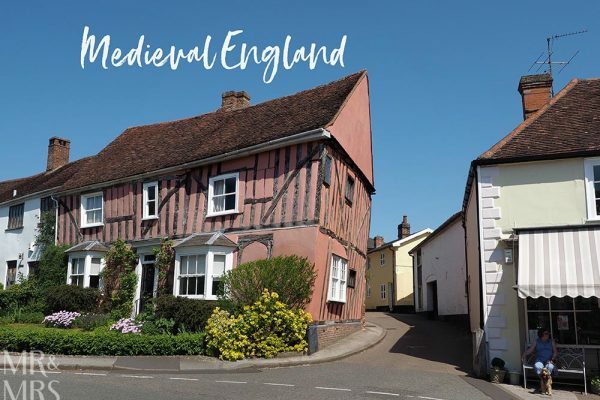 There are buildings in the Old Town proper, which have been restored and turned into museums to reflect the vibe of how things were here in the 1800s. And of course there are the restaurants. 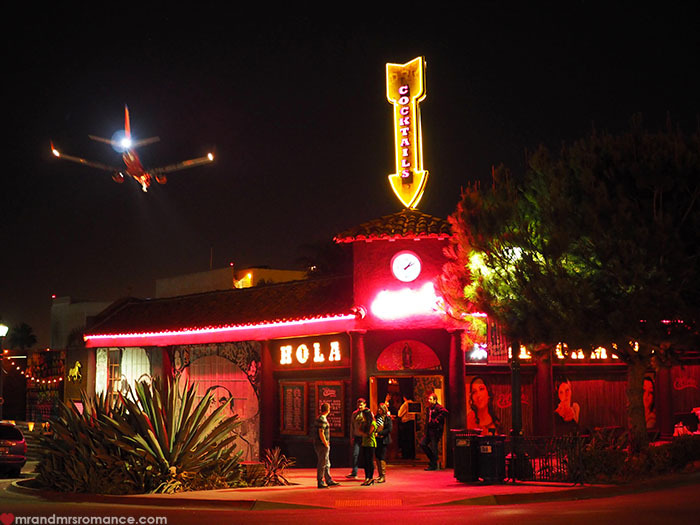 The main street – San Diego Avenue – is a bright, colourful row of eateries and bars that are full of life and laughter. And more importantly, delicious food! There’s even a cigar bar – Churchill’s – on the street, which I never fail to take advantage of! If you’re into your cigars, San Diego has a lot of bars where you can even enjoy your smoke indoors – a rare treat these days. Here’s our tour of cigar bars around San Diego. 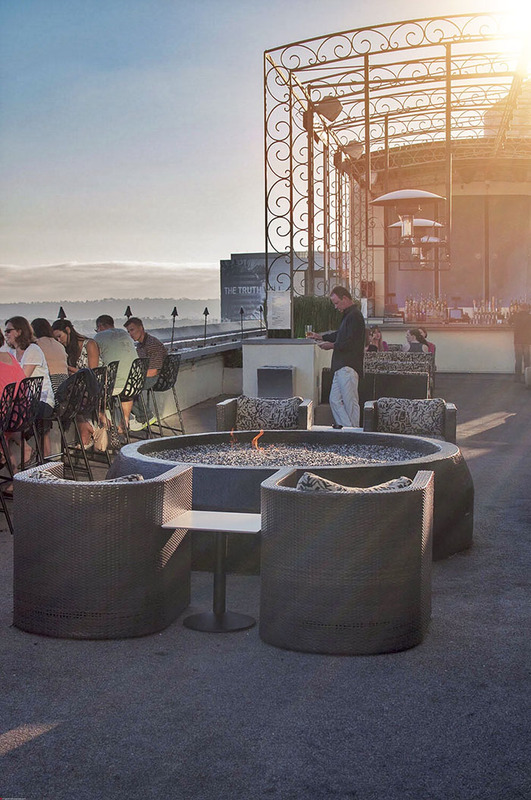 Southern California is a very warm part of the USA with around 265 days of sunshine a year, but that doesn’t seem to matter in San Diego – they love their fire pits so much. We even went round a friend’s apartment who has a fire pit on her balcony, and in the common area of her complex is another huge fire pit for everyone to use too. Pretty much every bar and restaurant with an outdoor space will have an area with naked flames licking from granite chips. San Diego really takes advantage of its friendly climate with its outdoor spaces. 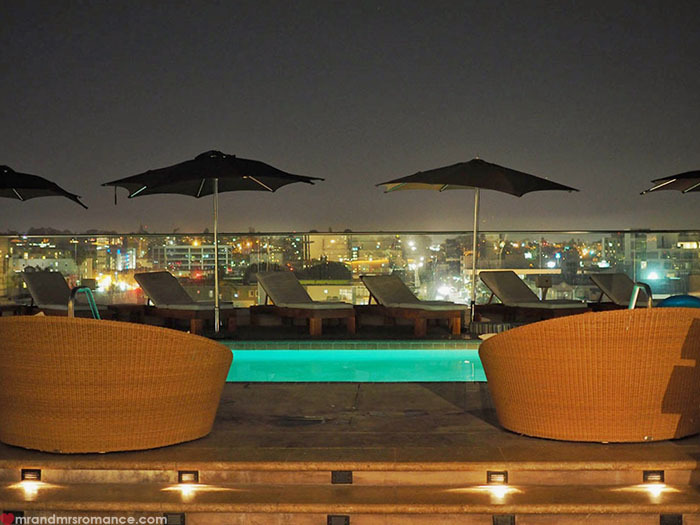 There are loads of cool rooftop bars in San Diego. 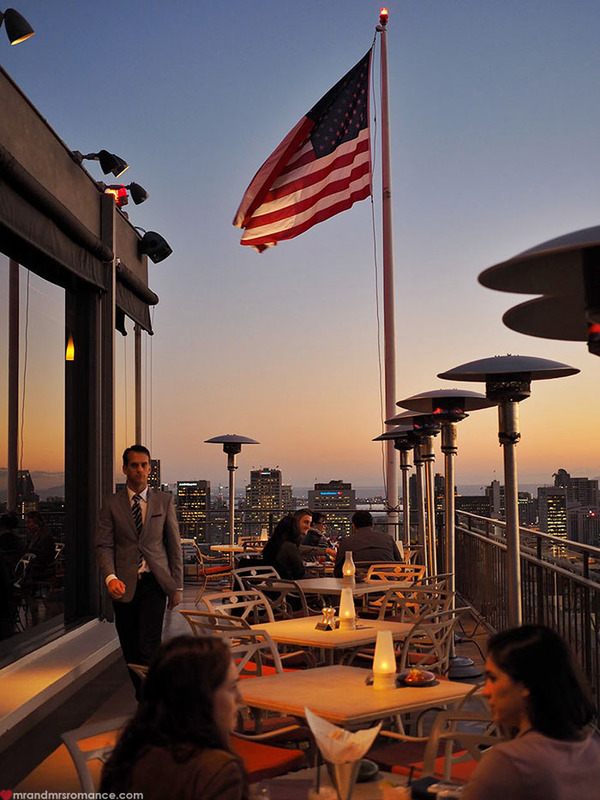 Here are some of our favourite rooftop bars in San Diego. Balboa Park is right at the centre of San Diego and it’s absolutely massive. In fact it’s the biggest urban cultural park in the USA. 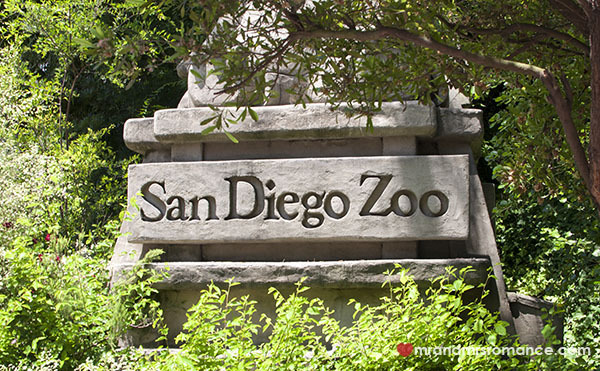 It’s home to 15 museums, botanic gardens, award-winning theatres, art galleries and best of all San Diego Zoo. We’re not usually into zoos, but this is world famous for good reason. It’s an incredible facility with some fascinating programmes. Our favourite conservation programme is how the zoo gives the cheetahs, which are notoriously flighty and tend to suffer from nerves in captivity, a ‘buddy’. They grow up with a canine friend and the dog stays with them most of the time. 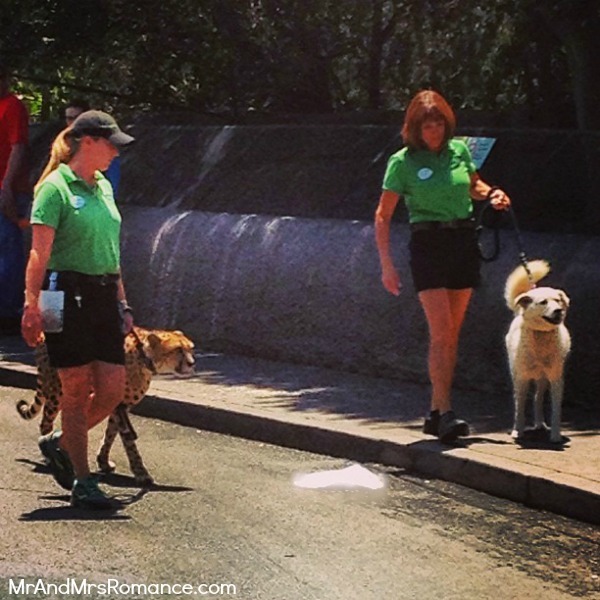 The dogs calm the cheetahs down and help guide them through their lives in the zoo. It’s so clever. Here’s our review of San Diego Zoo. 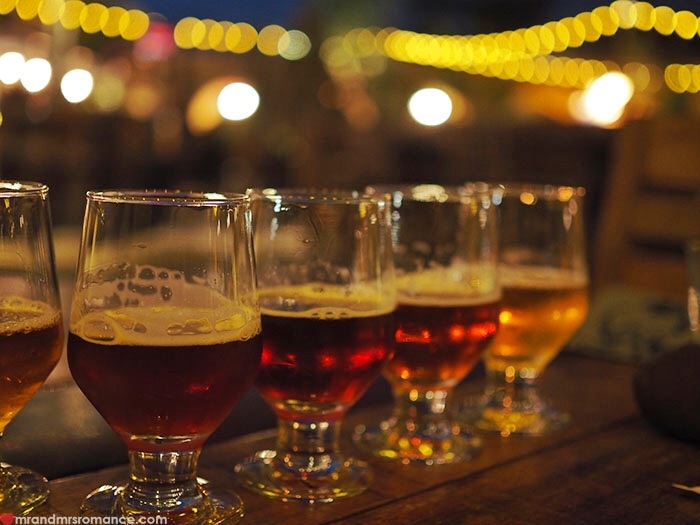 San Diego is the home and heartland of craft beer in America. 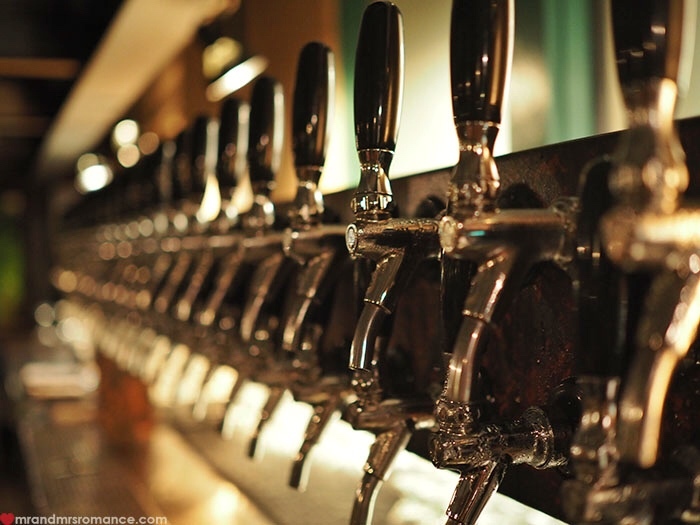 There are around 150 craft breweries and brewpubs in the county with some superb beer coming from them. 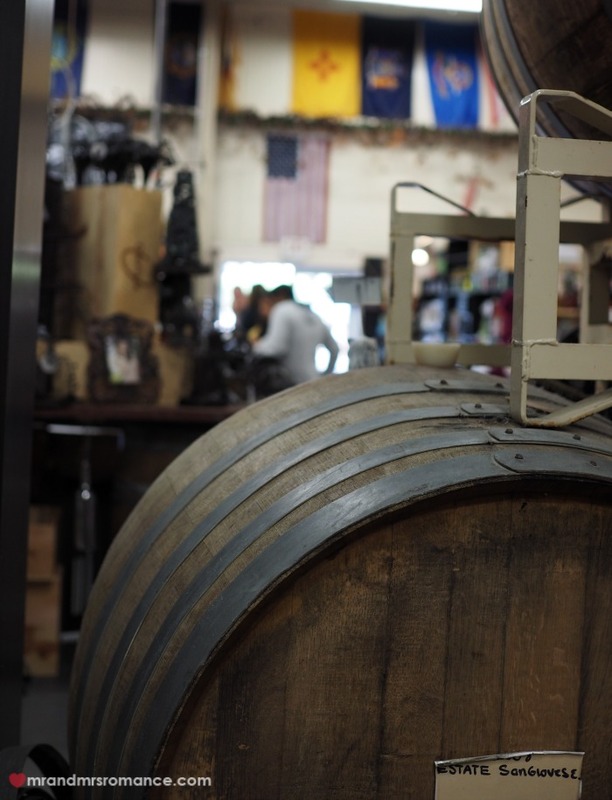 Some breweries even have distilleries attached, like Ballast Point. 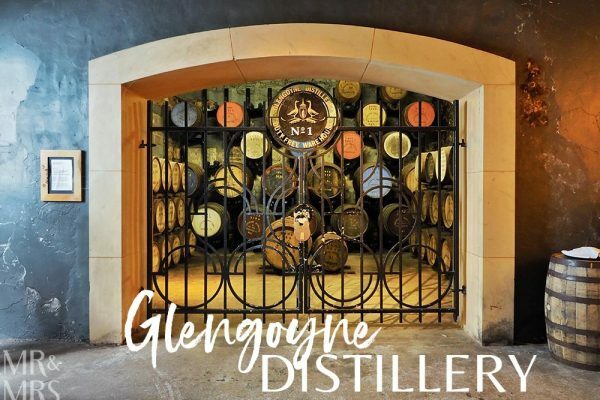 Their beer is awesome, but their gin Old Grove is a real event. Further north of the city is the mighty Stone Brewery’s closest taprooms, which are amazing. Stone is one of the biggest and most popular craft brewery, even finding its way to Australia’s shores. 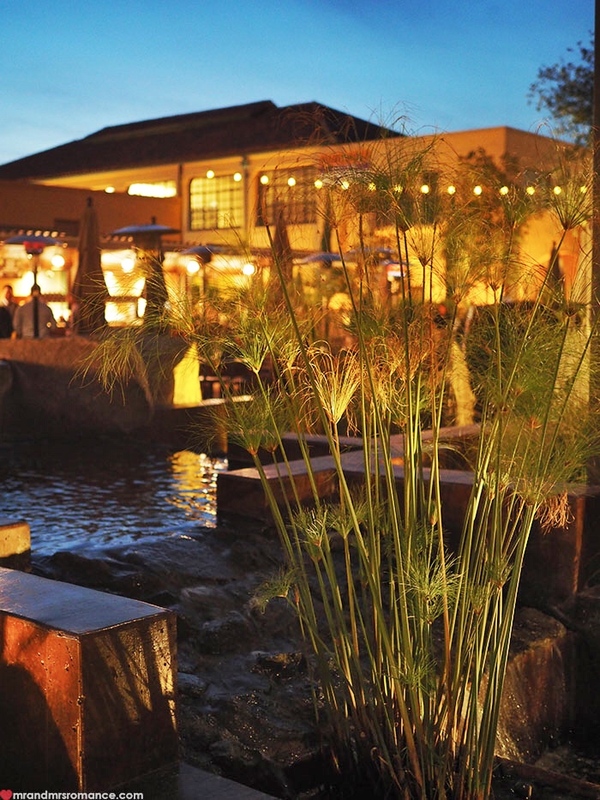 Here’s our review of Stone’s taprooms in Escondido – such an incredible space. 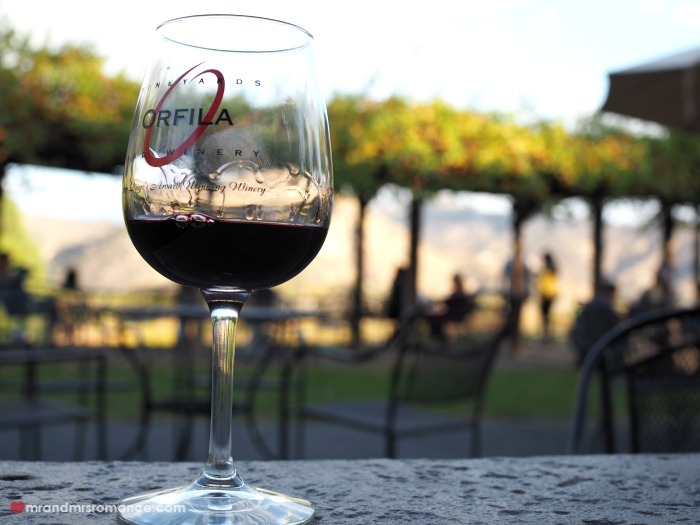 There are some great wineries in and around San Diego. 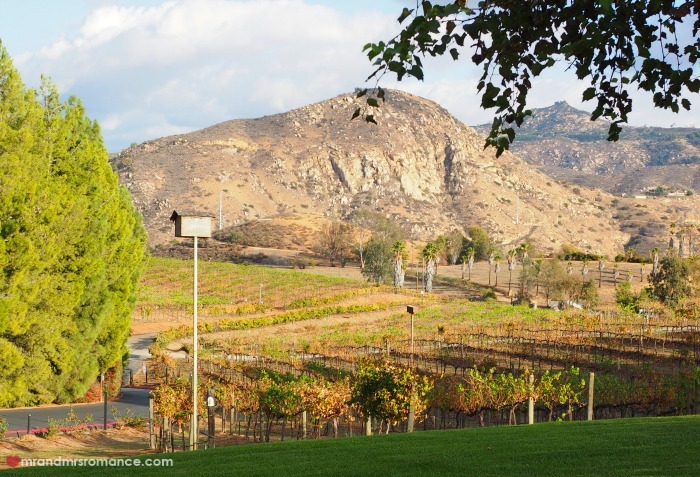 Most people go north past Escontido to the wineries there, but the vineyard tour I went on headed west to San Pasqual Valley and Ramona Valley. I must say I was very pleasantly surprised. Here’s what happened on the wine tour of San Diego. La Jolla (pronounced “la hoya”) is a northern suburb of San Diego (but further south than Torrey Pines) and is quite different to the rest of the city. It’s a coastal suburb with some amazing views out over the Pacific, beautiful homes and – best of all – seals and sea lions. This colony has lived in LA Jolla for ages and is an important part of the community. 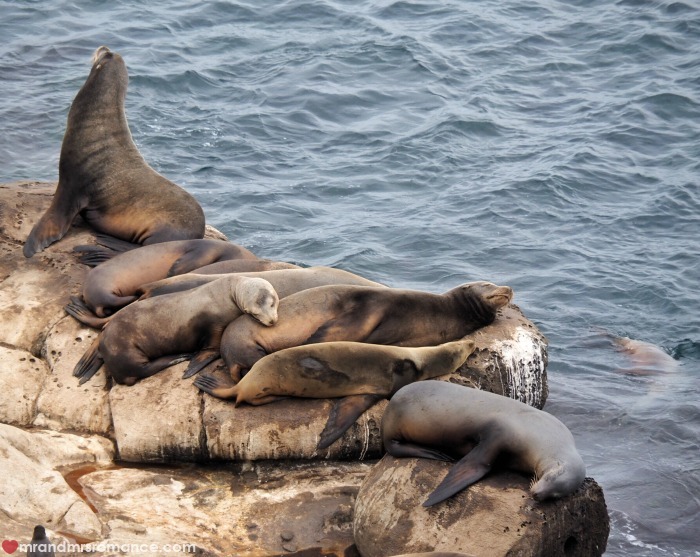 They’re easy to spot lounging along the cliffs at La Jolla Cove and other parts of the coastline. For more info, check out La Jolla Mom’s insights into this remarkable spectacle. To see the less obvious and harder to reach sea life of the area, you should definitely check out the Scripps Institution of Oceanography aquarium in La Jolla. It’s a lovely little aquarium and comes without the controversy of Sea World. Make sure you’re at the aquarium for sunset – the views from the cliffs over the Pacific are sensational. I’d be missing a major feature of San Diego and So Cal if I didn’t mention the amazing climate here. If you’re looking for somewhere that you’re almost guaranteed to have perfect weather all year round, it’s San Diego. Even in winter the sun still shines and in summer, while the mercury rises, the humidity is still very low. As for rainfall, there’s never enough water in California, and they’ve been struggling with drought for ages now. But for the visitor it means no need to carry those horrible emergency ponchos with you everywhere! Please do be mindful of water usage here though. Please don’t waste water or spend an unreasonable amount of time in the shower. 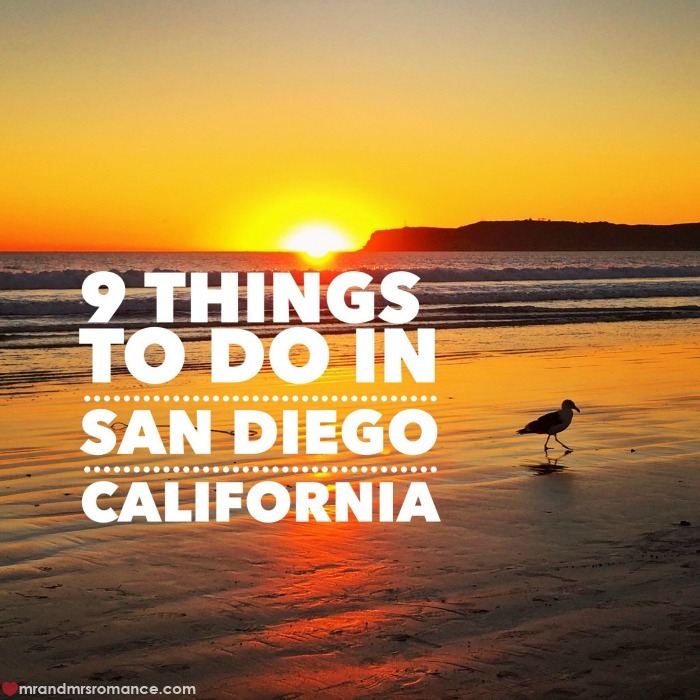 I hope these things to do in San Diego have given you a clear insight into why we love it here. 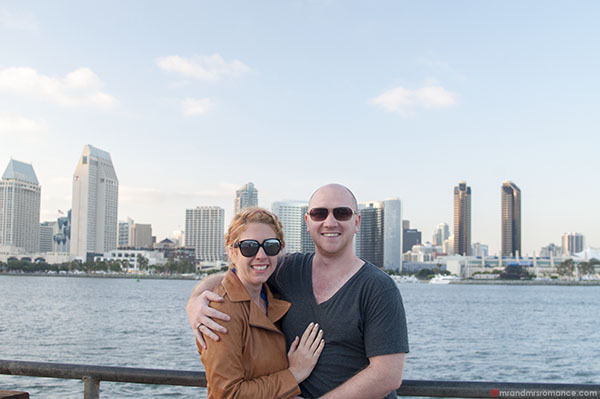 For more tips on things to do in San Diego and our First-Timer’s Guide to San Diego, click here. 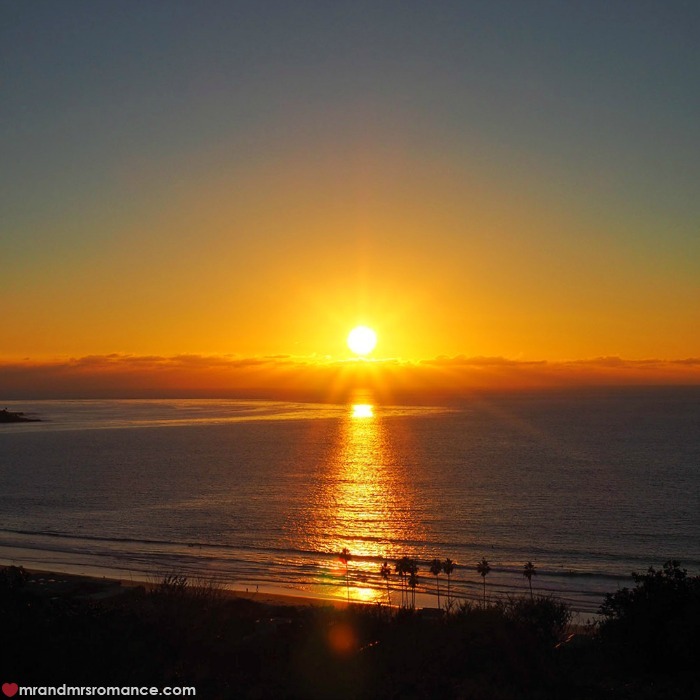 If you’re looking for a local’s tips on the best things to do in San Diego with kids, check out this post by the lovely Katie from La Jolla Mom. Do you have any tips on what to do in San Diego? Are there any other reasons why San Diego is just so bloody good? Tell us in the comments!